How have you done this until now? The S-500 is a new tool for tuning and creating sound. 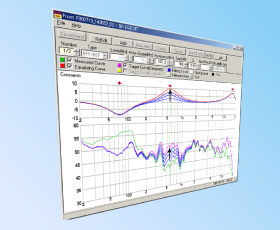 Capable of flexibly changing the frequency characteristics, which determine sound quality. By drawing your target characteristics on the graph, you can listen to this sound straightaway. 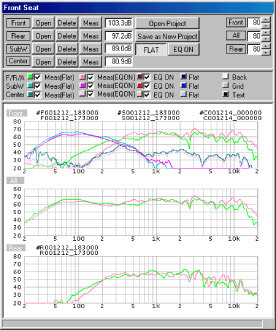 Moreover, 3 types of characteristic curves can be set simultaneously, and these can be listened to and compared using the spontaneous switchover function. Furthermore, previous characteristics are saved automatically, so you can return and listen to them again. The system is portable and you can operate it in the actual sound field and handle sound concretely. The standard input and output are a stereo dual-channel: 1 input and 3 outputs. It is also ideal for car audio. It has been designed for the car audio system composition and can be operated in the limited space inside cars. A unique system, no other elsewhere and is prized for its perfection.